Gap years are gaining popularity. Students take off before or during college for internships, volunteering, travel or fun. Workers who are mid-way in their careers, or have been downsized, use a gap for some of the same reasons or to get an advanced degree. My gap time came when I was downsized after two years on the society pages of a Washington paper and twelve in the Washington bureau of a New York paper. The house I lived in on Capitol Hill was taken by the owner, my father. As a result, after giving my two poodles to a colleague with a young son, I had no job or responsibilities. It was lucky timing. Solo international travel was fairly safe and still fun, so I packed my bag -- and went off to explore new places. 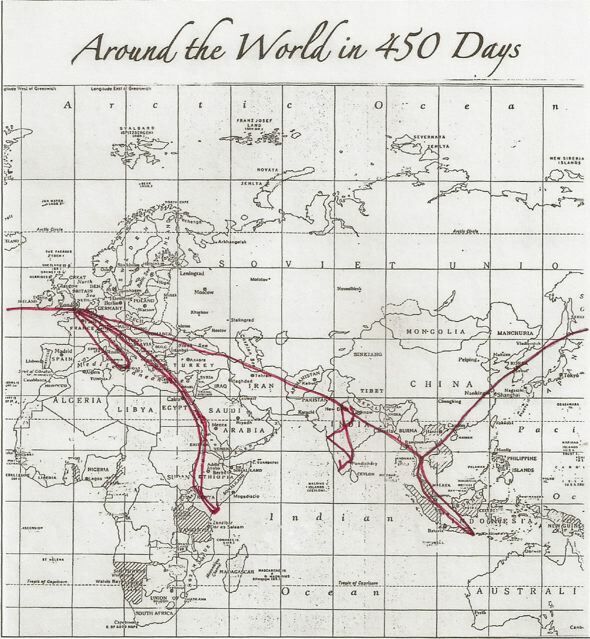 This 227 page diary follows my zigzag travels from England to Italy back to England, to Egypt up the Nile, Sudan, Kenya, back to go around England, then on to India, Thailand, Malaysia, Singapore, Indonesia, Thailand, Hong Kong and Honolulu -- Around the World, in 450 Days.